If your Saturday morning cocktail of choice is a Bloody Mary, you probably did not realize its main ingredient is also a healthy hair powerhouse. You can actually use tomato juice and tomato extract to clarify, condition and define your curls. Why would you do that? Tomatoes provide many benefits for our bodies, not least of which is their abundant source of antioxidants. Tomatoes also provide many of the nutrients and vitamins that help our hair, skin and nails thrive, like Biotin and Vitamin C. We are certainly not suggesting that you order extra cocktails this weekend (we know what alcohol does to our hair and skin), but there are many other healthy ways to add tomatoes to your hair care regimen. Here are a few of our favorites. The Vegetarian Times shares a recipe for a Clarifying Tomato Juice Rinse. Juice your tomato by tossing it into a juicer or by pushing it through a very fine mesh sieve. Combine with remaining ingredients and 2 cups of water, and stir well. Pour the mixture over conditioned hair, leave on for 2 min., and rinse with cool water. If you are not a DIY queen, you may be pleasantly surprised to learn that tomato extract is a popular ingredient in many of our favorite curly hair products. This shampoo is moisturizing and will not leave your curls stripped of moisture. Tomato extracts enhance curl definition for your hair, rice amino acids help to eliminate frizz, and shea butter is also added to keep your curls moisturized. This conditioner is a perfect match for the previous shampoo. You will have moisturized and defined curls throughout your wash day. If you prefer conditioners with a thick and creamy consistency, this would be a good match for you. Are you looking for a new styling product for the summer? This is a styling product that has tomato extracts for enhanced curl definition. This product contains anti-humectants, which is great for the approaching summer months. This conditioner is both moisturizing and strengthening. 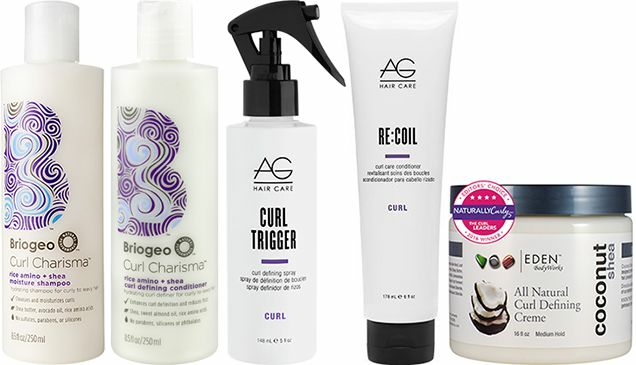 Keratin is included in this product, which can help make your curls stronger. Using both protein and moisturizing conditioners can help maintain strong and healthy hair. This curl defining crème has a medium hold and will help moisturized curls while preventing frizz. Even though this product has a medium hold, your curls will not feel hard or crunchy. This product is lightweight and will not weigh your curls down. You can also consume tomatoes if you prefer that approach. You can add tomatoes in your diet by making juices, healthy salads, or main courses. There are plenty of recipes that you can find to switch up your daily meals and add nutrients to your body and hair. Do you use tomato extracts in your curls? How? Please share with the curly community.